The families of dozens of girls missing for several days after a Boko Haram attack on their school in northeast Nigeria on Thursday faced an anxious wait for their return after confirmation some had been rescued. Police said on Wednesday that 111 girls from the state-run boarding school in Dapchi, Yobe state, were unaccounted for following an attack by the jihadists on Monday night. The disappearance sparked fears of a repeat of the 2014 mass kidnapping of more than 200 girls from a similar school in Chibok, in neighbouring Borno state. 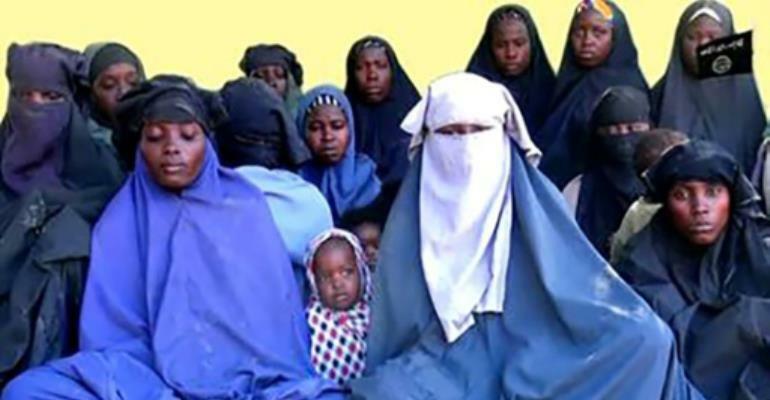 But Abdullahi Bego, spokesman for Yobe state governor Ibrahim Gaidam, said late Wednesday that "some of the girls... have been rescued by gallant officers and men of the Nigerian Army from the terrorists who abducted them". He added: "The rescued girls are now in the custody of the Nigerian Army." Bego's statement was the first confirmation the girls were abducted. Initially, the students were reported to have fled with their teachers at the sound of gunfire. Bego did not specify the circumstances in which the girls were rescued nor how many were recovered, and said more details would be released in due course. A federal government delegation including Nigeria's defence and foreign ministers was due in Dapchi on Thursday. Inuwa Mohammed, whose 16-year-old daughter, Falmata, was missing, said he had "mixed feelings of hope and trepidation" about the girls' return. "We don't know how many of our girls have been found and no parent is sure that his daughter is among them," he told AFP. "We are just waiting for the girls to be brought for physical identification to be carried out by parents... There have been wild guesses as to their number. "We will wait until we see them." Abubakar Shehu said he, too, did not want to celebrate prematurely. "I haven't slept throughout last night. I have been tense since I heard," he said. "I am just praying that my niece is among those rescued." A student who escaped Monday's attack said some of her classmates had jumped over a perimeter wall at the sound of gunfire, and got into vehicles parked nearby. It was thought the vehicles were then taken by the Islamist militants. A senior military source in the Borno state capital, Maiduguri, told AFP the girls from Dapchi were "found... on the border between Yobe and Borno". "The girls were abandoned with their vehicle. It had broken down and the terrorists panicked because they were under siege by pursuing soldiers," he added. "The fear is that some of the other girls may have been taken along by the terrorists because the girls were not in a single vehicle. "Only those in the broken down vehicle were lucky." The attack in Dapchi will again raise questions about the government's grip on security in remote northeast Nigeria, after nearly nine years of fighting and at least 20,000 deaths. President Muhammadu Buhari was elected in 2015 on a promise to defeat the Islamic State group affiliate and has repeatedly maintained they are now a spent force. But civilians -- especially those displaced by the conflict -- remain vulnerable to suicide attacks and hit-and-run raids. The Dapchi attack also calls into question how far pledges to improve security at schools have been implemented nearly four years after Chibok. The Chibok abduction in April 2014 brought sustained international attention to the insurgency for the first time, largely via the hashtag #BringBackOurGirls. A total of 276 girls were seized; 57 escaped in the immediate aftermath; and since May last year, 107 have either escaped or been released as part of a government-brokered deal. Security analysts suggested government ransom payments to secure the release of the Chibok girls could have given the under-pressure group an incentive for financing.